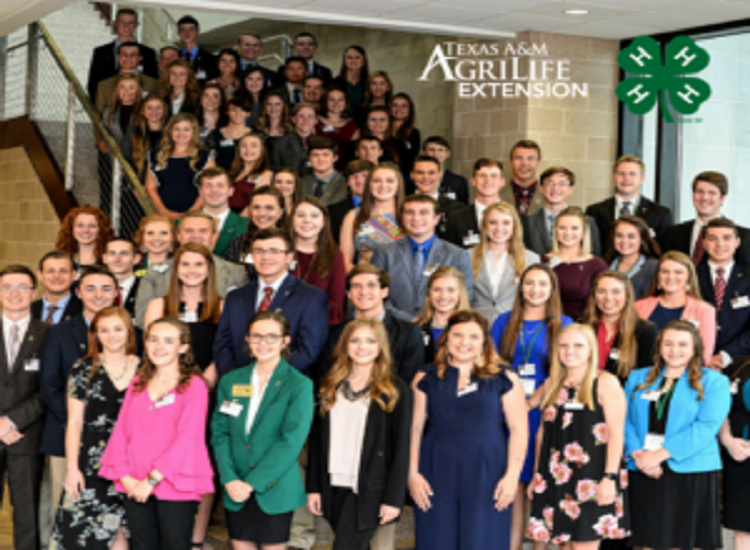 Texas 4-H’ers took home more than $2.4 million in scholarships during the 71st annual Texas 4-H Roundup held at Texas A&M University recently. In all, the 4-H Youth Development Foundation distributed more than 200 scholarships to outgoing 4-H members, said Sarah Hamm, executive director of the Texas 4-H Foundation. The Houston Livestock Show and Rodeo provided 70 $20,000 scholarships, making them this year’s largest group contributor to Texas 4-H scholarships. Richard Wallrath donated 35 $10,000 scholarships from the Richard Wallrath Educational Foundation, making his foundation the largest individual contributor. Additionally, the San Antonio Stock Show and Rodeo awarded $272,000 through a total of 25 scholarships. 4-H is the nation’s largest youth development and empowerment organization with more than 65,000 youth are enrolled members of 4-H community clubs in Texas. Another 850,000 Texas youth get involved in 4-H through educational opportunities at school, in after school programs, or at neighborhood or youth centers. Youths who attend 4-H Roundup are able to display the leadership skills, citizenship development, team building and competition skills learned throughout the year.